Welcome to Windward Key! This beautiful 4 level townhome has 4 bedrooms and 4 and a half baths. Living here is like being on vacation all year. Fish or crab from the community dock. Bring your boat, kayak or other water toys. Have a front row seat to the Fourth of July fireworks from the community beach. The North Beach boardwalk is just up the street and so much more! As you come up the steps of the foyer to the main level, youll find an open and spacious kitchen with space for a dining table. The breakfast bar can seat 6. 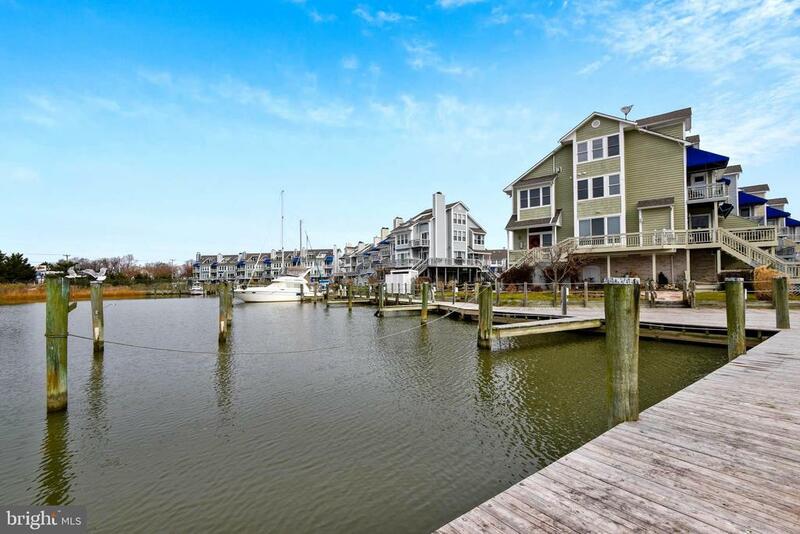 The open concept floor plan allows beautiful views of the marina. In the living room gather around the wood burning fireplace on those chilly nights. On the second level youll find a spacious master bedroom with full master bath and lots of closet space. The second bedroom has lovely vaulted ceilings and can be a second master suite with access to the full bath in the hall. Moving up to the third level is another bedroom with full bath, wet bar and amazing sunset views from the loft deck. The lower level has the laundry room, another full bath and a room that can be used as a bedroom, den or office. The large lower level deck provides space for relaxing and entertaining. Use the intercom system to communicate between levels and theres a central vacuum system too. Whether you want to live here year round or just a summer getaway, Windward Key has so much to offer. Schedule your private showing today! Directions: From points north. Take Rt 4 south to right exit onto Rt. 260 towards Chesapeake and North Beach. Follow to end and turn right on Bayside Rd Rt. 261. Take next left onto Windward Key Dr. Keep right. House will be on the right.